Longtime media studies faculty member Thom Storey, founder of Belmont’s journalism program, passed away Wednesday morning following a recurrence of cancer. Storey was a member of the Belmont faculty since 1985 and served as chair of Belmont’s Media Studies department. After graduating from St. Bonaventure University in upstate New York, he began his journalistic career as a sports writer and columnist. He then moved on to covering schools, the courts and public affairs. He earned his master’s degree from Iowa State University. As a graduate student he advised the university’s daily newspaper and worked part time covering sports for the Ames Tribune. 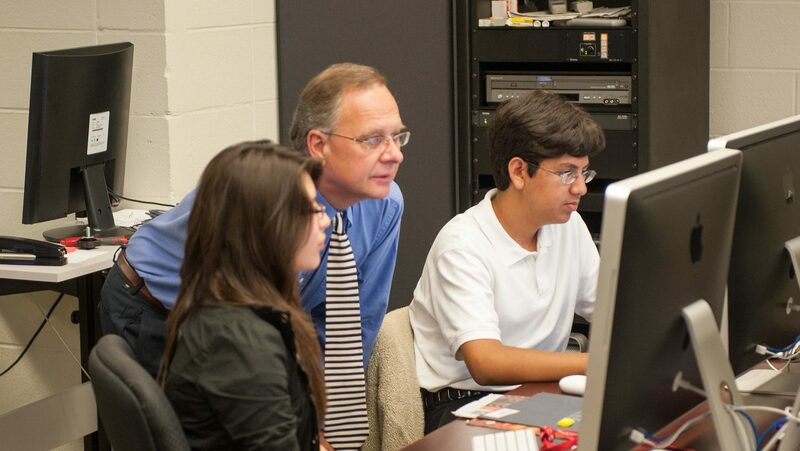 For most of his career at Belmont, Storey worked professionally as a copy editor and travel editor at The Tennessean. Storey received the Belmont’s Chaney Distinguished Professor Award for superior teaching and was named Journalism Educator of the Year by the Southeast Journalism Conference. Belmont’s student media, The Vision, posted this story on Storey along with remembrances from friends, current and former students and colleagues honoring Storey’s legacy as a journalist, educator and friend. Visitation will be held Mon., Jan.15 from 1-4 p.m. at Cooks United Methodist Church (7919 Lebanon Rd, Mt Juliet, TN) with the service to follow at 4:30 p.m.
A scholarship fund has been created to honor Storey’s impact on the Belmont community. Memorial donations can be made here to: Thom Storey Scholarship at Belmont University. Checks may also be mailed to Belmont University, Office of Development, Fidelity Hall 105, 1900 Belmont Blvd. Nashville, TN 37212 (checks should be payable to Belmont University with “Thom Storey Scholarship” indicated on the memo line).